John & Mary Pappajohn Ctr. 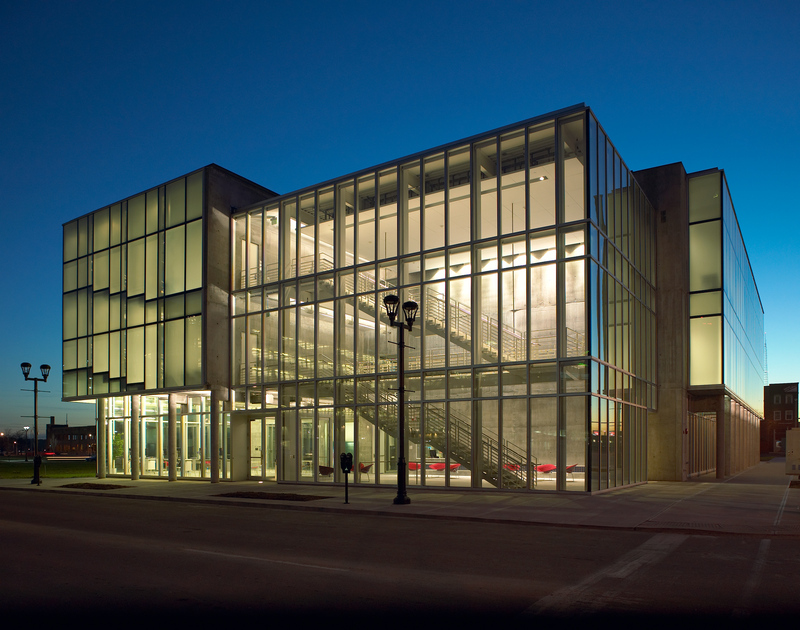 The John and Mary Pappajohn Higher Education Center was created to spark the rejuvenation of a portion of downtown Des Moines, Iowa. According to the Des Moines Register, developers have called it "a lightbulb" in the downtown landscape, and project architect Brad Hartman of Herbert Lewis Kruse Blunk described its design as a "transparent, bright, glowing building." Its well-lit glass front is intended to transmit a sense of activity to an area largely deserted after working hours. 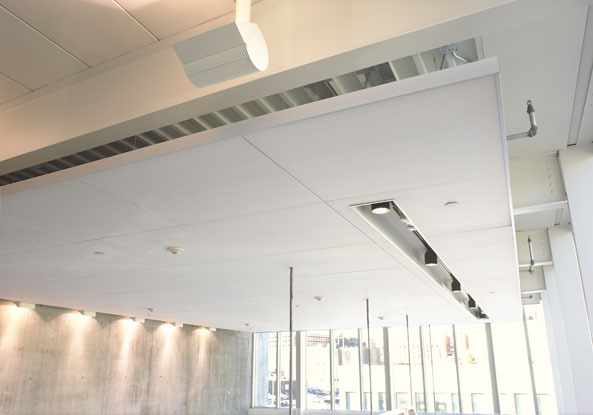 Bright white Techstyle® acoustical panels from Hunter Douglas help reflect light outward, while also controlling sound inside the building. 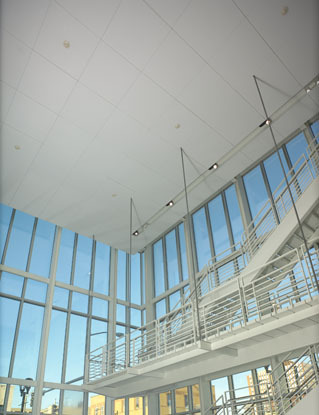 Venture capitalist and philanthropist John Pappajohn served as chief sponsor of the 33,500 square-foot center, which is used for programs in professional, adult, and continuing education.